This expedition and his resulting publications brought Schoolcraft to the attention of the Secretary of War, John C. Calhoun, who considered him "a man of industry, ambition, and insatiable curiosity." Calhoun recommended him to the Michigan Territorial Governor, Lewis Cass, for a position on an expedition led by Cass to explore the wilderness region of Lake Superior and the lands west to the Mississippi River. 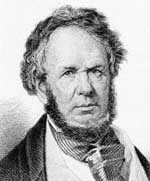 Beginning in the spring of 1820, Schoolcraft served as a geologist on the Lewis Cass expedition. Beginning in Detroit, they traveled nearly 2,000 miles (3,200 km) along Lake Huron and Lake Superior, west to the Mississippi River, down the river to present-day Iowa, and then returning to Detroit after tracing the shores of Lake Michigan. Jane Susan Ann (October 14, 1827 – November 25, 1892, Richmond, Virginia),  called Janee. On January 12, 1847, after moving to Washington, DC, Schoolcraft married again, at age 53, to Mary Howard (died March 12, 1878). She was a southerner and slaveholder, from an elite planter family of the Beaufort district of South Carolina. Her support of slavery and opposition to mixed-race unions created strains in her relationship with the Schoolcraft children. They became alienated from both her and their father. During the voyage, Schoolcraft took the opportunity to explore the region, making the first accurate map of the Lake District around western Lake Superior. He discovered the true headwaters of the Mississippi River in Lake Itasca, a name which he coined from the Latin words veritas meaning 'truth' and caput meaning 'head'. The nearby Schoolcraft River, the first major tributary of the Mississippi, was later named in his honor. United States newspapers widely covered this expedition. Schoolcraft followed up with a personal account of the discovery with his book, Narrative of an Expedition Through the Upper Mississippi River to Itasca Lake (1834). Schoolcraft named many of Michigan's counties and locations within the former Michigan Territory. He named Leelanau County, Michigan after his wife's pen name of "Leelinau". 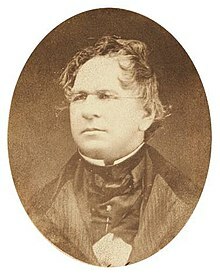 For those counties established in 1840, he often created faux Indian names. In names such as Alcona, Algoma, Allegan, Alpena, Arenac, Iosco, Kalkaska, Leelanau, Lenawee, Oscoda and Tuscola, for example, Schoolcraft combined words and syllables from Native American languages with words and syllables from Latin and Arabic. Lake Itasca, the source lake of the Mississippi River, is another example of his faux Indian names.